← Guess What I Did Not Do Tonight? Watch Mad Men﻿. This Sunday is going to be a very busy day for my DVR. I’ve got Celebrity Apprentice, Real Ho’wives of Atlanta, The Amazing Race, Game of Thrones, and The Killing!!! 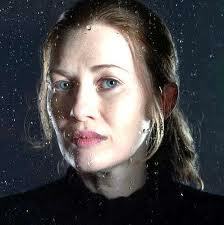 I am SO excited but also a little wary for The Killing‘s return. Are we EVER going to find out who killed Rosie Larsen, who, I’m sorry to say, looked WAY too much like Meredith Kercher (the forgotten victim at the center of the Amanda Knox circus)? Oh I know how to bring the mood down. And Linden better learn to smile every once in a while. And fix those goddamn tendrils. I don't know how to use a brush. 2 Responses to The Killing is just 6 days away! I saw that too! Even though I bitched and moaned about this show, I am really bummed. I’m hoping another network will pick it up, because it has the potential to be amazing. It wasn’t a terrible show, it just didn’t reach its potential.